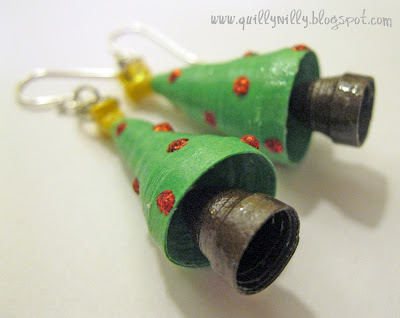 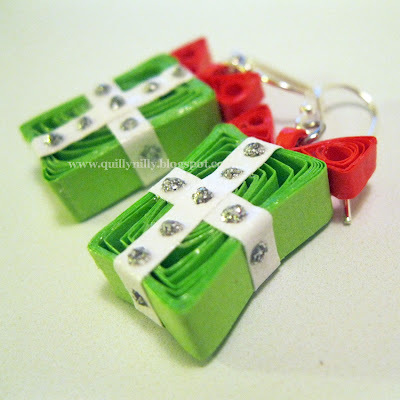 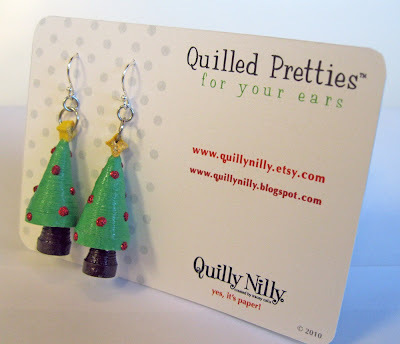 I enjoyed working on the miniature tree with presents so much that I decided to take the presents idea and create earrings for my coworkers. 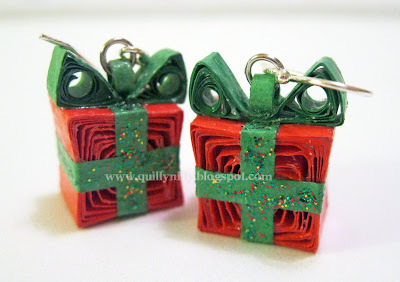 These are done in traditional Christmas colors, but I've got plans to create more in fun, birthday colors; which will be a new item in my shop very soon. 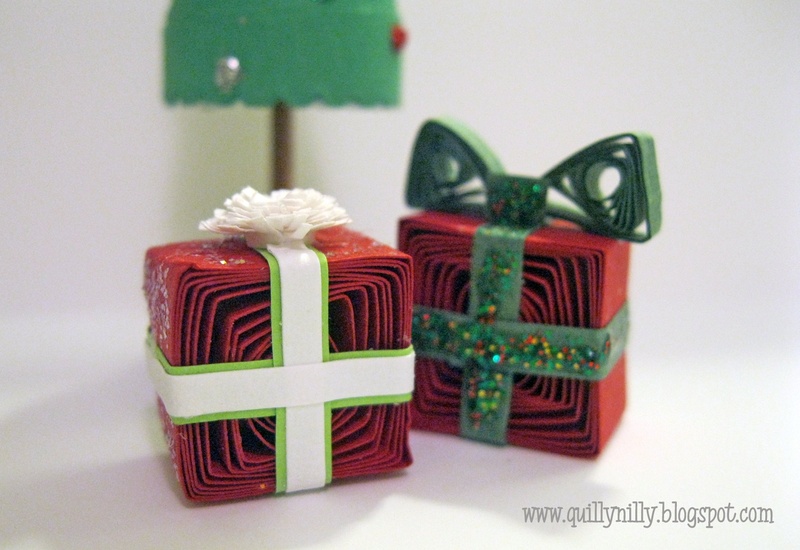 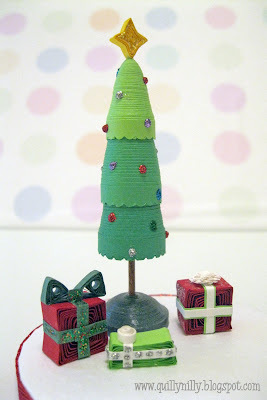 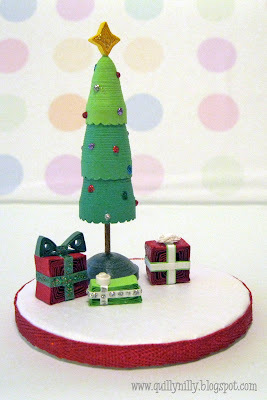 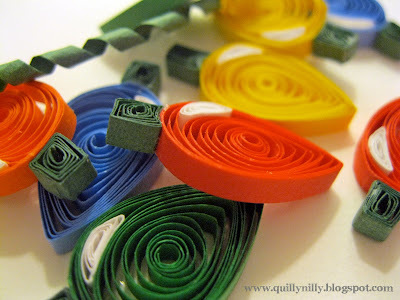 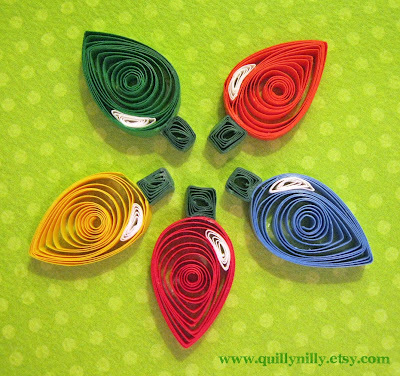 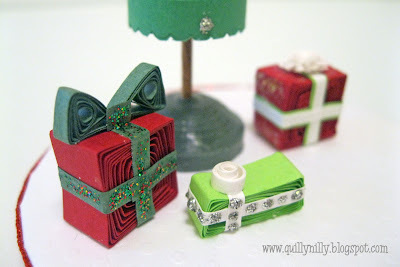 I love my quilled miniature Christmas lights, they're little; no more than an inch tall and super cute. 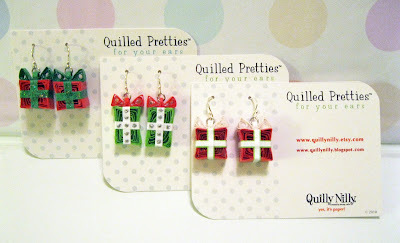 Last night someone ordered two sets of these cuties and here they are. 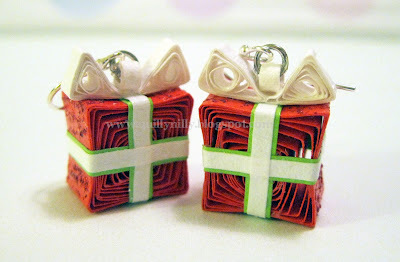 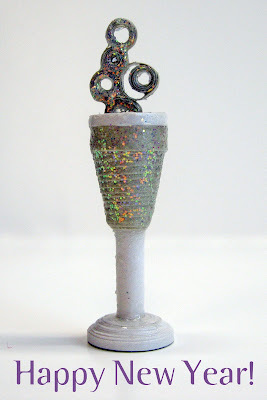 You can find them in my Etsy shop, they come in traditional (shown here) or contemporary colors.